The footage, in which the man appears to also aim a kick at the dog, was taken of a footpath near Felin Y Mor Road and happened at around 1.45pm on 11 November. 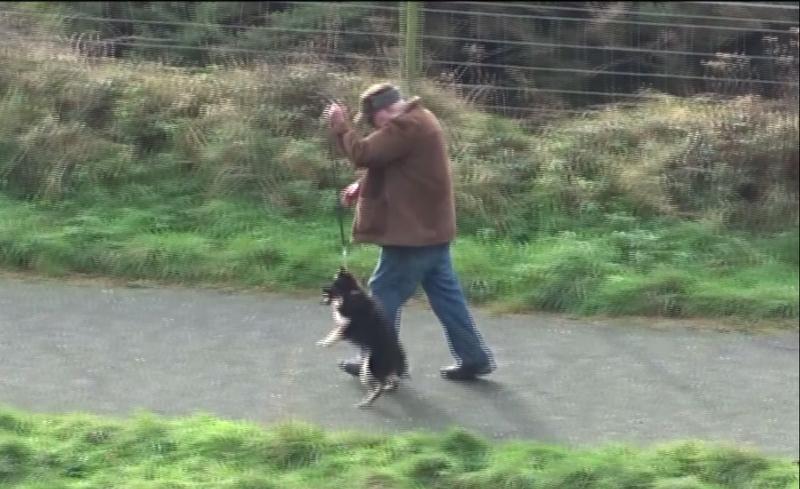 RSPCA inspector Keith Hogben said: “The caller who reported this to us states that this man swung the dog by the lead and punched and kicked the dog repeatedly using his fists and feet. The abuse went on for a length of time where the dog was heard to be crying and yelping. If anyone has any information about this incident please could they call us on the RSPCA’s inspectorate appeal line on 0300 123 8018. Calls are made in confidence. If you wish to help RSPCA Cymru look into incidences such as this, you can donate online. The RSPCA is a charity and rely on public donations.